Have a clear goal — the more tangible, the better — when networking at an event. Be sure to follow up after networking introductions are made, and try to do so within 24 hours. Networking for real estate investors is one of the most important skills a would-be redeveloper can exhibit, but just showing up at an event with your business cards in hand is not enough; you have to ensure your efforts lead to actual results. One might ask an important question: What are the benefits of social networking in this manner? 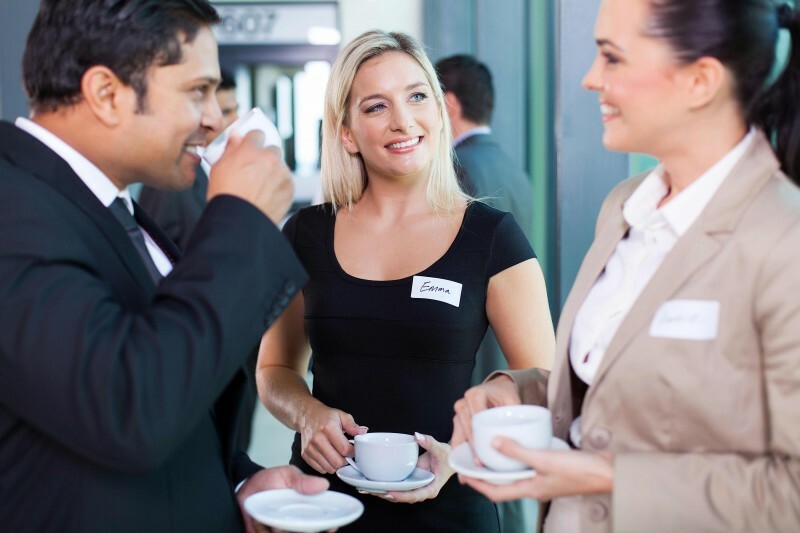 Better yet, how does business networking online and networking in-person differ? How do you ensure you avoid many of the networking for real estate investors mistakes that plague newcomers? Dedicating yourself to meeting new people — and stepping outside your comfort zone — is always a good method. Another key area to emphasize is to focus on other peopl to make a lasting impression. Make an effort to reach out to new people during meetings, either with a real estate investing club, or at a networking event. Not just friends and people you know, but be open to making new connections. You can also reconnect with colleagues and follow-up on relationships you have started to build. Yes, this can be scary. Yes, this can be daunting. But some of the best business networking you can do is meeting people outside your exclusive, inner circle. Your goal, when attending a seminar or workshop, is to learn something. But do you intend to come in during the seminar and leave once it ends? If so, you’re missing out on a great opportunity to cultivate your real estate team. Set a goal and be prepared. Make sure you have clear intentions in mind before walking in the door. Would you like to connect with a contractor? How about a wholesaler or realtor? Perhaps you want to talk to a few investors who are on the same rung of the investor journey as yourself. You’re already going to be at the meeting; you might as well take advantage of the opportunities it presents by leveraging your time and getting more done. It’s a sad fact: many people love talking about themselves. These are the people who always try to sell something to you, be it a product or service (or both). They dominate the entire conversation, and when it veers towards another topic, they circle it back to themselves. Some even cut into conversations without being invited, or ask for favors without building a relationship first. 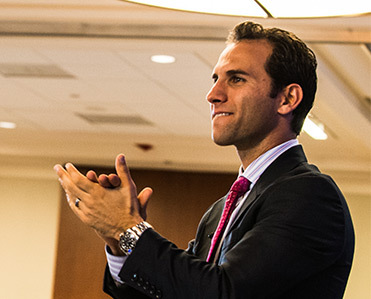 If you want to stand out in a room full of people who want to advance their investing business, all you need to do is to listen and be responsive. That will definitely make you stand out. Be genuinely interested in the person you’re talking to. What are their interests? Their business goals? This will lead to more fruitful business networking conversations and leave the other person wanting to know more about you. Following up on the previous point, too many real estate investors think that attending networking events is about how it benefits them. They ask: What can I get out of this? How will my business move forward with the connections I build? Understand that networking, at its core, is a mutual exchange. It’s not just about you. Aim to help others first. A genuine professional relationship begins by helping the other person. Show them how they would benefit from their connection with you. Maybe you can help introduce them to some of your contacts. Perhaps you can give a small token of appreciation for their business or website? Share some expertise if you find they are struggling with some aspect of the real estate investing business. Even a simple compliment can make a lasting impression. Remember integrity is vital in this business. Whether you are conscious of it or not, people put a lot of weight in the words you say. If you talk a big game but have no follow through, people will question everything you say — and your credibility will take a hit. Staying true to your word shows you are serious about your business. Invite them to future events they may not know about. Provide resources you mentioned. It takes time to form connections, but very little time to put those connections at risk. Real estate investor networking may feel unnatural at first, especially if you don’t do it often. However, approaching people is the absolute first step in networking. Just remember: You are at the same event, you already have a few things in common. Use that common ground to jump-start a conversation. An easy way to break the ice is to ask about them: Are they also an investor? Is it their first time attending? What’s their business? How’d they get started? Listen and engage; not just talk about yourself. Do you have some tips for folks wanting to know how networking for real estate investors works? Let us know in the comments below.